Today, MPs are be debating a vital issue in Parliament. Of course they’re talking about Brexit, but that’s not the debate I mean. What I’m talking about is one of the many massive issues that aren’t getting the coverage they deserve. I’m talking about the crisis in further education. 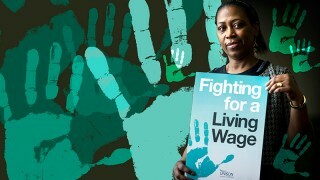 UNISON represents 30,000 members working in FE colleges. Our members perform many important roles – technical support, library services, training and assessment, facilities, administration, IT, catering – and yet like so many public servants they’re being repeatedly asked to do more with less. Further education is a vital resource that has given our country and our communities so much. It benefits not just the young but the lifelong learner. 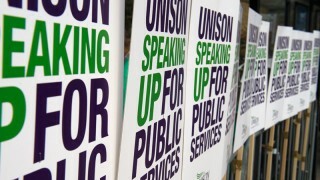 And as a union built on the principle of public service, FE represents not only a public service, but a service which has trained and educated millions of public service workers for generations. All too often FE fails to receive the attention, praise and credit it deserves – but for a number of years now it has also been failing to receive the funding it requires. That situation is unsustainable, and the future of further education itself is at stake. That’s what brought UNISON together with other FE unions and the Association of Colleges as part of the #LoveOurColleges campaign, which I’ve written about before. As a result of the campaign, and a successful petition, MPs will today be debating the urgent need to properly invest in colleges, including an increase in college funding to sustainable levels and the provision of immediate exceptional funding, ring-fenced for pay, to cover the costs of a fair pay deal for college staff from 2018/19 onwards. I hope that the government will today hear the calls of MPs – and the FE sector – and give further education the funding it so desperately needs.